This Chicago soul group was the original “First Family of Soul” (until the Jackson 5 took over). The Stairsteps were named for the fact when the children lined up by age they resembled stairsteps. The group consisted of five of the six children of Betty and Clarence Burke Sr. — Alohe Jean, Clarence Jr., James, Dennis, Kenneth (Keni) and Cubie. In the spring of 1970 they released their biggest hit, O-o-h Child which hit #14 on the R&B chart and #8 on the Billboard Hot 100. The song sold over a million copies and was certified Gold in August 1970. As the siblings began to leave for various other projects or reasons, the Five Stairsteps became just the Stairsteps and disbanded officially around 1976. Four of the brothers (Keni, Clarence Jr., James and Dennis) reformed as the Invisible Man’s Band in 1979 (along with keyboardist Dean Gant). Their biggest was All Night Thing. They broke up in 1981 when Keni went solo. Marcia Karen Wallace has an acting career that spanned six decades! Born in Iowa, Wallace was encouraged to pursue acting by a high school teacher. At Parsons College, Wallace majored in English (due to her interest in journalism) and Theater. The day after graduation, Wallace moved from Iowa to New York with $148. She began her career by performing summer stock, commercials, typing scripts (that would prove fortuitous to her career!) and even took a job as a substitute English teacher (that would also prove fortuitous!) She formed an improv group “The Fourth Wall” and appeared off-Broadway. She finally ended up on TV, being a semi-regular (75 appearances) on The Merv Griffin Show. (When the show moved to Los Angeles for filming, at Griffins’ personal request, Wallace moved with it.) These appearances led to a March 1972 phone call from TV producer Grant Tinker as recommended from CBS founder Bill Paley. They offered her the role of Carol Kester, receptionist to Dr. Robert Hartley on the Bob Newhart Show, a role they specifically created just for her. Six seasons later when the show ended in 1978, Wallace made the rounds on the game show circuit. Hollywood Squares, The $25,000 Pyramid, Win, Lose or Draw, Match Game, Family Feud — name a game show, Wallace was probably on it — are just a few of the shows Wallace graced with her presence. In May 1986 Wallace married hotelier Dennis Hawley. They adopted an infant son. Wallace was diagnosed with breast cancer in 1985 and became an activist and lecturer. In January 2007 she won a Gilda Radner Courage Award for that breast cancer activism. Hawley died of pancreatic cancer in June 1992. Wallace’s 2004 autobiography Don’t Look Back, We’re Not Going That Way focuses on her breast cancer diagnosis, her husband’s death, life as a single mother, her nervous breakdown and more. Wallace died from complications relating to pneumonia on October 25, 2013. Producers of The Simpsons, in memory of the irreplaceable Wallace, intend to let Mrs. Krabappel retire. Over six decades, Marcia Wallace can be remembered for any number of characters. But, despite all those characters on all those shows, Wallace, as a person, will probably most be remembered as herself: for her unmistakable red hair. Marcia Wallace was only 70 when she passed away in Los Angeles. This was Eric Carle’s third book and introduced his new style of collage illustrations. The Very Hungry Caterpillar was written and illustrated by Carle. The story centers on a caterpillar that eats a variety of foods before entering the pupating stage and finally, emergence as a butterfly. Note: This caterpillar’s diet is fictional and in no way scientifically accurate! The book has won numerous children’s literature awards, a major graphic design award. It is collectively called “one of the greatest childhood classics of all time.” Selling over 30 million copies worldwide, The Very Hungry Caterpillar has been translated into 40 languages. Different editions of the book have been produced — like a pop-up version. A board and card game have been released. An educational video game has been adapted. As well as a wide variety of toys and other educational Caterpillar merchandise. These were ice cream bars to the extreme (obviously)! Almost four ounces of vanilla ice cream was sandwiched between a chocolate-coated back and topped with a cookie imprinted with a wrestling superstar. There is a Facebook page dedicated to these bars so you can reminisce. This American animated series featured child versions of the Muppets that lived together in a large nursery and were cared for by Nanny, a human (animated) woman. Nanny was mostly shown by her striped green and white socks; her face was never shown. (Some episodes showed her in a purple sweater and pink skirt.) All the popular Muppets were there: Kermit, Piggy, Rowf, Gonzo, Animal, Fozzie, Scooter and his (never before or since seen) twin sister Skeeter. Muppet Babies debuted September 15, 1984 and ran for 8 seasons or 107 episodes; ending on November 2, 1991. (The rights for the program are now held by Disney-ABC Domestic Television). Voice talent: Frank Welker, Greg Berg, Howie Mandel (only during season one — Dave Coulier replaced him), Katie Leigh, Laurie O’Brien, Russi Taylor and Barbara Billingsley as Nanny. Unfortunately, there haven’t been any plans to release the series on DVD. A number of Muppet Babies episodes featured clips of other TV shows and movies during the Muppets’ imagination sequences, which presents copyright issues. Hopefully, they can resolve this and the series can live on in DVD. If you still own (and/or use) a VCR, a number of episodes were released on VHS during 1993 – 1995. If you’re looking for a more high-tech way to watch Muppet Babies, head to YouTube, you can catch the entire series. The song peaked at #7 on Billboard’s Hot 100. It has been covered about a dozen times, parodied three additional times and been adapted into other forms about three times. Mann also writes with other vocalists and/or songwriters. (Most famously with Dan Hill for his #3 hit Sometimes When We Touch.) He and Weil have written for various films. They’ve received a few Grammy awards. In 1987 they were inducted into the Songwriters Hall of Fame and received their highest honor, a Johnny Mercer Award in 2011. My first memories of this movie was in a video rental store that I bought candy in the 90s. When I was finally un-traumatized enough to watch the entire film, I was never able to look at my Cabbage Patch Kids the same way again! This horror film plays out like this: Charles Lee Ray (Brad Dourif), the Lakeshore Strangler, is being pursued by homicide detective Mike Norris (Chris Sarandon). Shot in the leg, he ends up in a toy store and realizes that he’s bleeding to death, Ray swears revenge on Norris and his partner (Neil Giuntoili) and transfers his soul into a “Good Guy” doll. The next day, Karen Barclay (Catherine Hicks) buys that same doll for her son Andy’s (Alex Vincent) 6th birthday. That same night, babysitter Maggie (Dinah Manoff) falls to her death while Andy is asleep, but Chucky, the Good Guy doll, is not. Andy then has to prove that Chucky is behind the evil deeds that begin occurring and not him. In its opening weekend, Child’s Play took in just over $6.5 million. In total, worldwide over $44 million. 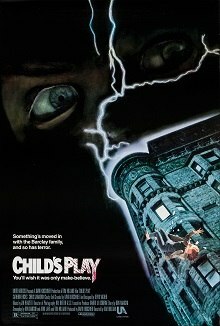 Child’s Play spawned a series of films: Child’s Play 2 (1990), Child’s Play 3 (1991), Bride of Chucky (1998) and Seed of Chucky (2004). In June 2012 it was announced that the next installment would be a direct-to-video release. In October 2013, on the 25th Anniversary of Child’s Play, the franchise was renewed by Curse of Chucky. 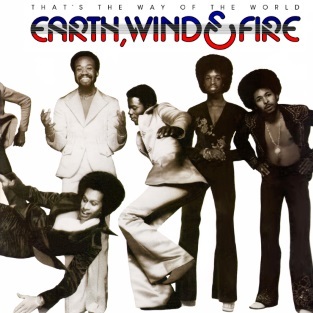 That’s the Way of the World was Earth, Wind & Fire’s seventh album and served as the soundtrack for the 1975 film of the same name. Members of the band made cameo appearances in the movie. The album included the #1 hit Shining Star. The album also hit #1 on the Pop Albums chart (three weeks) and Soul Albums chart (five non consecutive weeks). That’s the Way of the World was favored by critics and the general public alike. The album was the third best-selling pop album and the best-selling R&B album of 1975. It was certified triple Platinum in the U.S.
EWF remain one of the most successful and critically acclaimed bands of the 20th century. Founded by Maurice White in Chicago in 1969, they have won 6 Grammys, were inducted into the Rock and Rock Hall of Fame, the Vocal Group Hall of Fame, received a star on the Hollywood Walk of Fame, have sold over 90 million albums worldwide. Five EWF members have been inducted into the Songwriters Hall of Fame. EWF have three Lifetime Achievement honors from the American Society of Composers, Authors and Publishers, the NAACP and from BET. Trivia: They were the first African-American act of sell out Madison Square Garden. The original Alphie was a blue plastic robot that came with two Alphie pawns, a game board, two puzzles, 8 activity cards and instructions. It also required a 9V battery. The modern Alphie is white and talks in a computer-like robot voice and his mouth lights up when he talks. He even comes in a hand-held smaller version. Alphie (new or old) teaches children numbers, colors and shapes. Kids love him! If you’re looking for blue vintage Alphie, you can still find him on eBay, but keep in mind that he’s becoming a very rare breed. The game of Pogs originated in Maui, Hawaii in the late 1920s. A similar Japanese card game, Menko, has been around since the 17th century. We can thank Blossom Galbiso, an Oahu teacher and guidance counselor for the 90s Pogs resurgence. She incorporated Pogs into her fifth grade math curriculum and as a nonviolent schoolyard game alternative. This was in 1991. In 1992, a small Canadian packaging company that had been producing milk caps in Maui, began printing millions of pogs every week and the game spread to the mainland U.S. By 1993, Pogs had dominated the world. You could get Pogs in any type of style/image you could image: toys, cartoons, movies, games, sports, even famous celebrities and politicians were featured on Pogs. Children would often keep Pogs won from others during play which led to school districts to consider Pogs to be a form of gambling. The games were so addictive for some youngsters that they became classroom distractions and led to playground arguments. This, of course, led to a ban of Pogs from some North American schools, many Western European schools and some bans in Australian schools. Traditional Pogs were made of a rough cardboard, printed with limited colors and often had a staple in them. Modern Pogs were made with stiffer, thicker cardboard and printed with colorful, glossy images. The slammer is a heavier piece made of plastic that came in various thicknesses and were similar in diameter to regular Pogs. Pogs are played by stacking them face down in a pile. Each player takes turns throwing his slammer down onto the stack, trying to make it scatter. Any Pogs that landed face up by the player were kept. After a player’s throw, remaining Pogs were restacked and play continued all the Pogs were taken. The player with the most Pogs won.